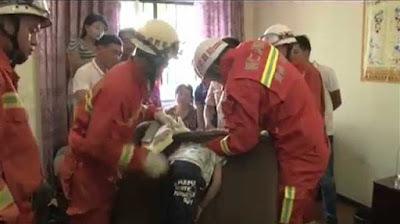 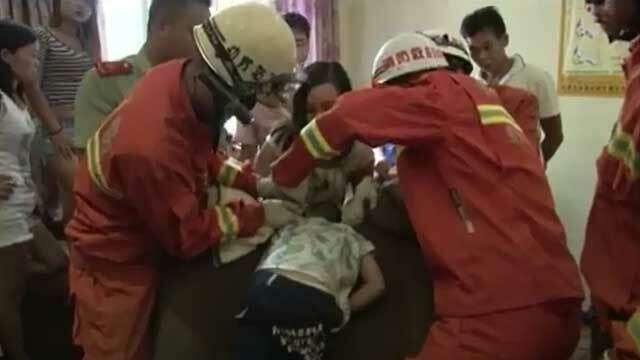 Firefighters in China's Guizhou Province rescued a four-year-old boy whose head got stuck in a sofa on Saturday. 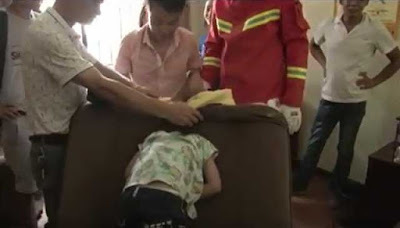 He had put his head in a hole in the couch while visiting a pedicure store with his parents in Tongren City. 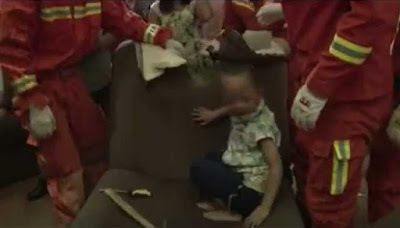 The firefighters initially snipped off the cover and wooden frame of the sofa in an attempt to extract him. 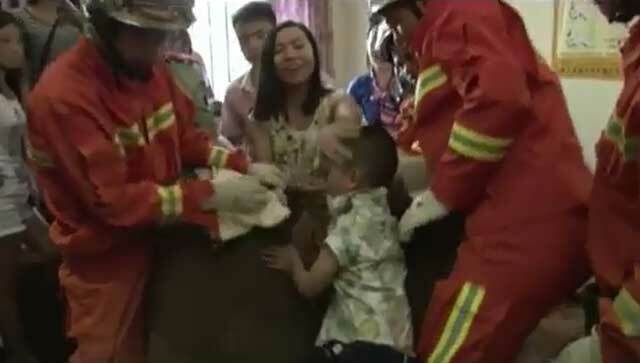 Finally, they tore the sofa apart, and managed to get the boy out without him suffering any injury.